lot of discussion around that issue but i think if you can -- there are thorny issues but if you can navigate that to put together a package is balance is something we could legislate on. rightly, we need to. an issue the megan people care deeply about. i don't know where the house comes from on this. beaker pelosi represents california, 48 out of the 233 democrats and the house are from california. california has its own law. they want to keep their loss but i think it's the kind of example where you do need a national standard because otherwise you will have companies in the tech world have to with texas and florida in south dakota and who else and is important we have a national standard. >> senator, at the same time democrats seem to be i don't want to use the word angry but upset with the tech companies and the loss of privacy. committee. 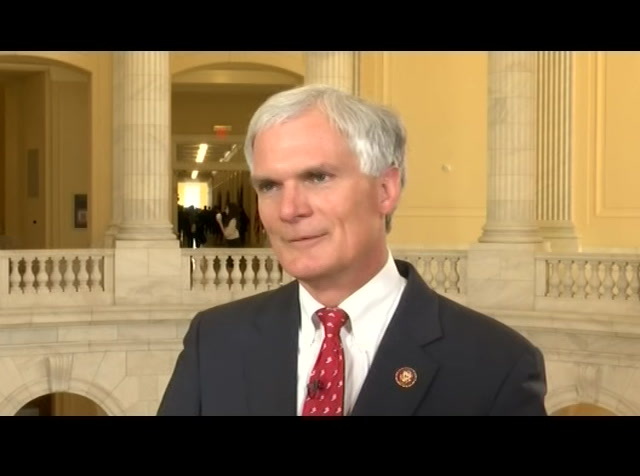 >> republican of ohio, mentored member of the energy and commerce committee. 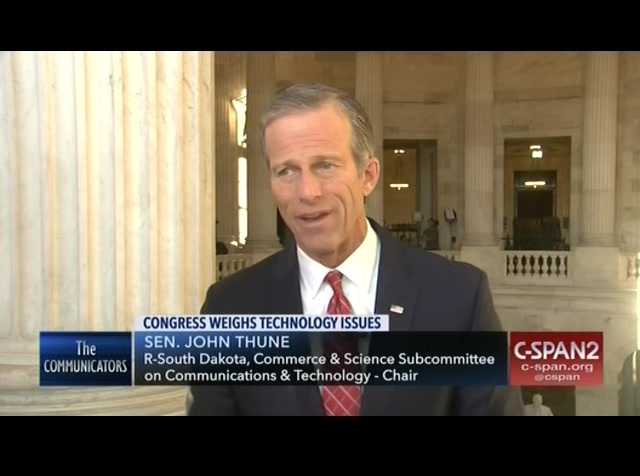 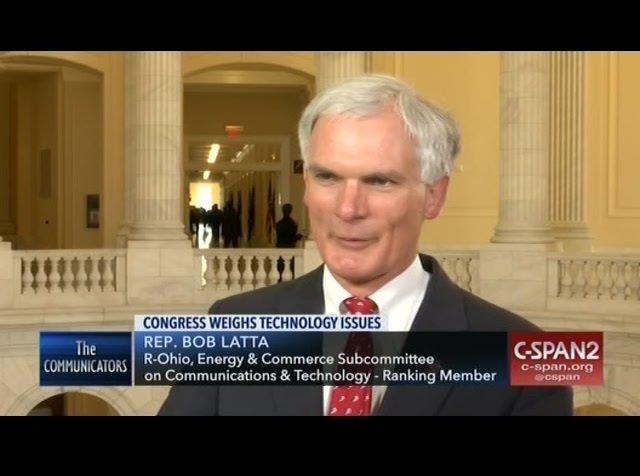 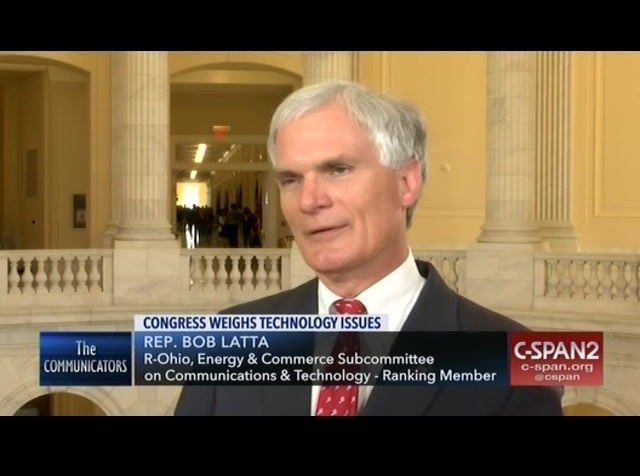 ranking member on the tech subcommittee. >> appreciate it. >> c-span where history unfolds daily. 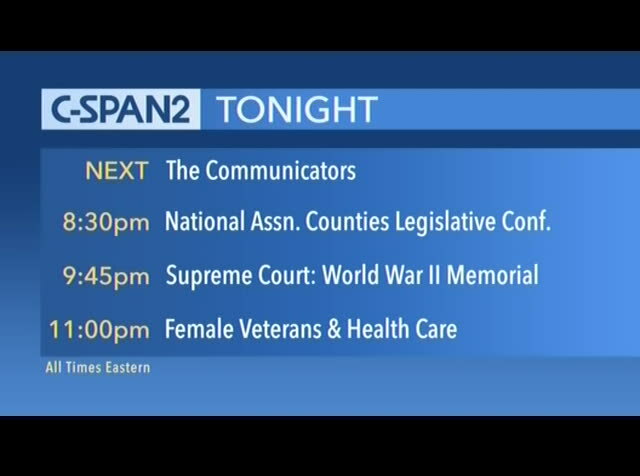 in 1979 c-span was created as a public service by america's table television companies and today we continue to bring you unsettled coverage of congress, the white house, the supreme court in public policy events in washington dc and around the country. c-span is brought to you for your cable or satellite provider. 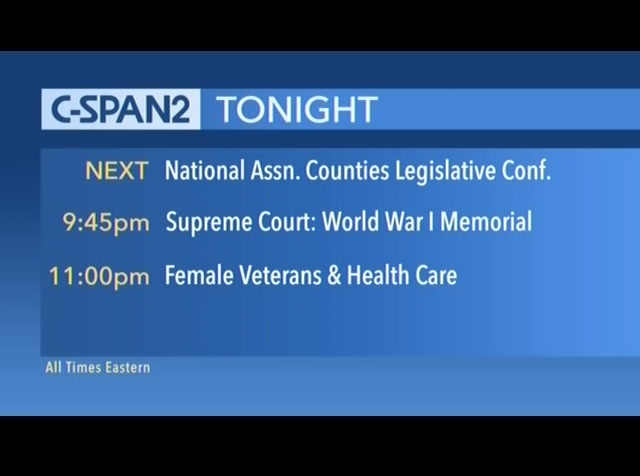 >> coming up today on c-span2 remarks by labor secretary alex acosta, white house counselor kellyanne conway and others at the national association of counties legislative conference. >> c-span's washington journal live everyday with news policy issues that impact you. 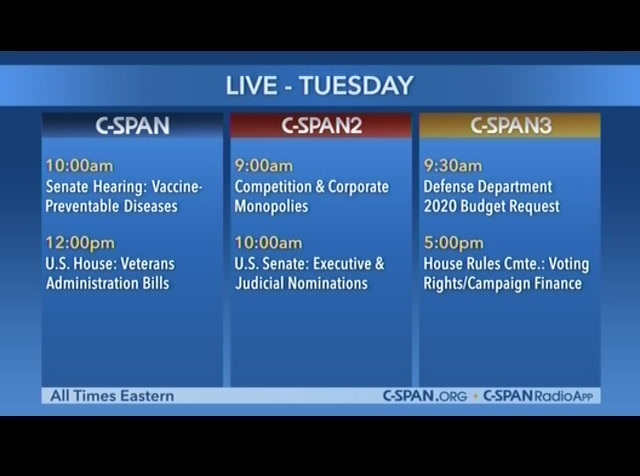 coming up tuesday morning, president for national health program be sure to watch the washington journal live at seven a.m. eastern on tuesday morning. join the discussion. 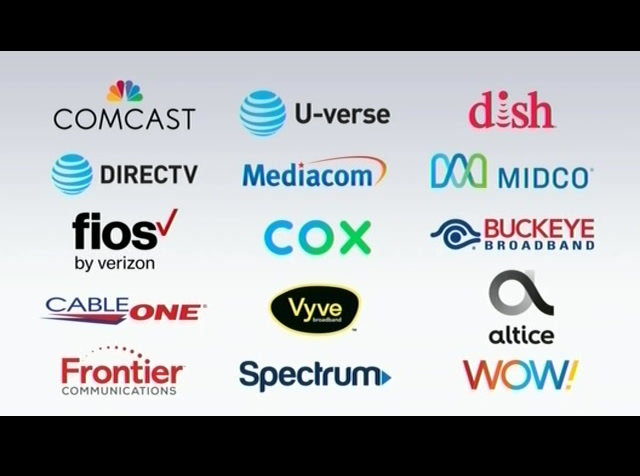 >> here are some of our life every tuesday.